Up until this point the problem of incentivizing productive activity has essentially been dominated by two major categories of solutions: markets and institutions. Markets, in their pure form, are fully decentralized, made up of a near-infinite number of agents all engaging with each other in one-on-one interactions each of which leave both participants better off than they were before. Institutions, on the other hand, are inherently top-down; an institution has some governance structure that determines what the most useful activities are at any given time, and assigns a reward for people to do them. An institution\'s centralization allows it to incentivize production of public goods that benefit thousands or even millions of people, even if the benefit to each person is extremely small; on the other hand, as we all know, centralization has risks of its own. And for the last ten thousand years, these two options were was essentially all that we had. With the rise of Bitcoin and its derivatives, however, that may all be about to change, and we may in fact now be seeing the dawn of a third form of incentivization: currencies. In the standard account, a currency has three fundamental functions to society. It serves as a medium of exchange, allowing people to buy and sell goods for currency rather than having to find someone who simultaneously has exactly what you want and wants exactly what you have and barter with them, as a store of value, allowing people to produce and consume at different times, and as a medium of account, or a measuring stick which people can use to measure a constant "quantity of production". What many people do not realize, however, is that there is also a fourth role that currencies play, and one whose significance has been hidden throughout most of history: seigniorage. Seigniorage can be formally defined as the difference between the market value of a currency and its intrinsic value - that is, the value that the currency would have if no one used it as currency. For ancient currencies like grain, the seigniorage was essentially zero; however, as economies and currencies got more and more complex, this "phantom value" generated by money seemingly out of nowhere would grow bigger and bigger, eventually reaching the point where, in the case of modern currencies like the dollar and the bitcoin, the seignorage represents the entire value of the currency. But where does the seigniorage go? In the case of currencies based on natural resources, like gold, much of the value is simply lost. Every single gram of gold comes into existence through a miner producing it; at first, some miners do earn a profit, but in an efficient market all of the easy opportunities rapidly get taken up and the cost of production approaches the return. There are of course clever ways that seignorage can still be extracted from gold; in ancient societies, for example, kings would mint gold coins which would be worth more than ordinary gold because the coins contain an implicit promise from the king that they are not fake. In general, however, the value would not go to anyone in particular. In the case of the US dollar, we saw a slight improvement: some of the seignorage would go to the US government. This was in many ways a large step forward, but in other ways it is also a revolution incomplete - currency, having gained the benefits of centralized seignorage, also gained its risks by embedding itself into the heart of one of the largest centralized institutions in human history. Five years ago, a new kind of money, Bitcoin, came along. In the case of Bitcoin, just like the dollar, the currency\'s value is 100% seigniorage; a bitcoin has no intrinsic value. But where does the seignorage go? The answer is, some goes into the hands of the miners as profit, and the rest goes to fund the miners\' expenses - the expenses of securing the Bitcoin network. Thus, in this case, we have a currency whose seignorage goes directly into funding a public good, namely the security of the Bitcoin network itself. The importance of this is massively understated; here, we have an incentivization process that is simultaneously decentralized, requiring no authority or control, and produces a public good, all out of the ethereal "phantom value" that is somehow produced from people using Bitcoin between each other as a medium of exchange and store of value. From there, we saw the emergence of Primecoin, the first currency that attempted to use its seigniorage for a purpose that is useful outside of itself: rather than having miners compute ultimately useless SHA256 hashes, Primecoin requires miners to find Cunningham chains of prime numbers, both supporting a very narrow category of scientific computation and providing an incentive for computer manufacturers to figure out how to better optimize circuits for arithmetic computations. And its value rapidly rose and the currency still remains the eleventh most popular today - even though its main practical benefit for each individual user, the 60-second block time, is shared by many other currencies far more obscure than it. A few months later, in December, we saw the rise of a currency that is even more eccentric and surprising in its success: Dogecoin. Dogecoin, currency symbol DOGE, is a currency which, on a technical level, is almost completely identical to Litecoin; the only difference is that the maximum supply will be 100 billion instead of 84 million. But even still, the currency hit a peak market cap over over $14 million, making it the sixth largest in the world, and was even mentioned on Business Insider and Vice. So what is so special about DOGE? Essentially, the internet meme. "Doge", a slang term for "dog" that first appeared in Homestar Runner\'s puppet show in 2005, has since caught on as a worldwide phenomenon with the accompanying practice of putting phrases such as "wow", "so style" and "such awesome" in colorful Comic Sans font with the background of a Shiba Inu dog. 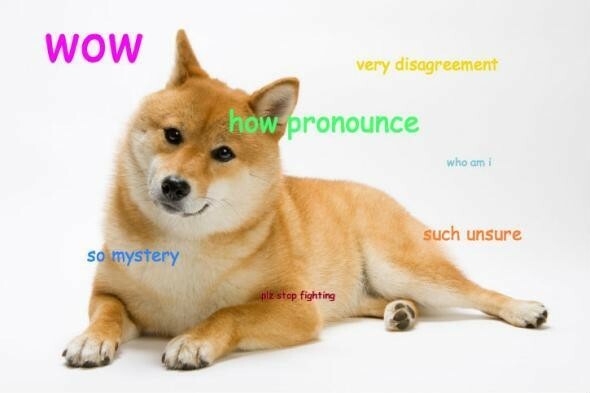 This meme represents the entirety of Dogecoin\'s branding; all of its community websites and forums, including the official Dogecoin website, the obligatory Bitcointalk launch thread and the r/dogecoin and r/dogecoinmarkets subreddits are all splattered with Doge iconography. And that\'s all it took to get a Litecoin clone to 14 million dollars. Finally, a third example comes from outside the cryptocurrency space in the form of Ven), a more traditional centralized currency which is backed by a basket of goods including commodities, currencies and futures. Recently, Ven added carbon futures to its basket, making Ven the first currency that is in some fashion "linked to the environment". The reason this was done is a clever economic hack: the carbon futures are actually included in Ven negatively, so the value of the currency goes up as society moves away from high-CO2 methods of production and CO2 emissions permits become less lucrative. Thus, each individual Ven holder is now, albeit slightly, economically incentivized to support environmentally friendly living, and people are interested in Ven at least partially because of this feature. On the whole, what these example show is that alternative currencies are pretty much entirely dependent on grassroots marketing in order to achieve adoption; nobody takes Bitcoin or Primecoin or Dogecoin or Ven by people need to go door to door and convince merchants to accept them, and it is not just the technical superiority of a currency that determines its traction - ideals matter just as much. It was Bitcoin\'s ideals that convinced Wordpress, Mega and now Overstock accept Bitcoin, and it is arguably for the same reason that Ripple as a payment method, despite its technical superiority to Bitcoin for merchants (specifically, five-second confirmation times), has so far failed to gain much traction - its nature as a semi-centralized protocol backed by a corporation that issued 100% of the currency supply for itself makes it unattractive to many cryptocurrency enthusiasts who are interested in fairness and decentralization. And now, it is the ideals of Primecoin and Dogecoin - those of supporting science and supporting fun, respectively, that keep both of those currencies alive. These four examples, together with this idea of phantom seigniorage value, form what is potentially a blueprint for a new kind of "economic democracy": it is possible to set up currencies whose seignorage, or issuance, goes to support certain causes, and people can vote for those causes by accepting certain currencies at their businesses. If one does not have a business one can participate in the marketing effort and lobby other businesses to accept the currency instead. Someone can create SocialCoin, the currency which gives 1000 units per month to every person in the world, and if enough people like the idea and start accepting it, the world now has a citizen\'s dividend program, with no centralized funding required. We can also create currencies to incentivize medical research, space exploration, and even art; in fact, there are artists, podcasts and musicians thinking about creating their own currencies for this exact purpose today. In the case of one particular public good, computational research, we can actually go even further and make the distribution process happen automatically. Computational research can be incentivized by a mechanism that has not yet seen any substantial applications in the real world, but has been theorized by Peercoin and Primecoin inventor Sunny King: "proof of excellence". The idea behind proof of excellence is that the size of one\'s stake in the currency\'s decentralized voting pool and one\'s reward is based not on the computational power that one has or the number of coins one already owns, but on one\'s ability to solve complex mathematical or algorithmic challenges whose solutions would benefit all of humanity. For example, if one wants to incentivize research in number theory, one can insert the RSA integer factoring challenges into the currency, and have the currency offer 50000 units, plus perhaps the ability to vote on valid blocks in the mining process, automatically to the first person to provide a solution to the problem. Theoretically, this can even become a standard component in any currency\'s issuance model. Of course, the idea behind using currencies in this way is not new; "social currencies" operating within local communities have existed for over a century. In recent decades, however, the social currencies movement has declined somewhat from its early 20-th century peak, primarily because social currencies simply failed to achieve anything more than a very local reach, and because they did not benefit from the efficiencies of the banking system that more established currencies like the US dollar could attract. With cryptocurrencies, however, these objections are suddenly removed - cryptocurrencies are inherently global, and benefit from an incredibly powerful digital banking system baked right into their source code. Thus, now may be the perfect time for the social currencies movement to not only make a powerful, technologically enabled, comeback, and perhpas even shoot far beyond their role in the 19th and 20th centuries to become a powerful, mainstream force in the world economy. So where will we go from here? Dogecoin has already shown the public how easy it is to create your own currency; indeed, very recently Bitcoin developer Matt Corrallo has created a site, coingen.io, whose sole purpose is to allow users to quickly create their own Bitcoin or Litecoin clones with some parameter tweaks. Even with the limited array of options that it curerntly has, the site has proven quite popular, with hundreds of coins created using the service despite the 0.05 BTC fee. Once Coingen allows users to add proof of excellence mining, an option for a portion of the issuance to go to a specific organization or fund, and more options for customized branding, we may well see thousands of cryptocurrencies being actively circulated around the internet. Will currencies fulfill their promise as a more decentralized, and democratic, way to pool together our money and support public projects and activities that help create the society we want to see? Maybe, maybe not. But with a new cryptocurrency being released almost every day, we are tantalizingly close to finding out.